Rent scooters and cars on Donoussa. Bus. Beach boat. Donoussa is a tiny island with few roads and almost everything is within walking distance. Most tourists get around on foot, the distances are short, for example it is only just over one kilometre to Kedros beach and it takes about 15 minutes to walk. When I traveled to Donoussa for the first time, there were no roads. Now there is. Donoussa did not have any roads for about ten years ago. But there are roads now. A road, funded by the EU, has been bulldozed through the previously so beautiful landscape. 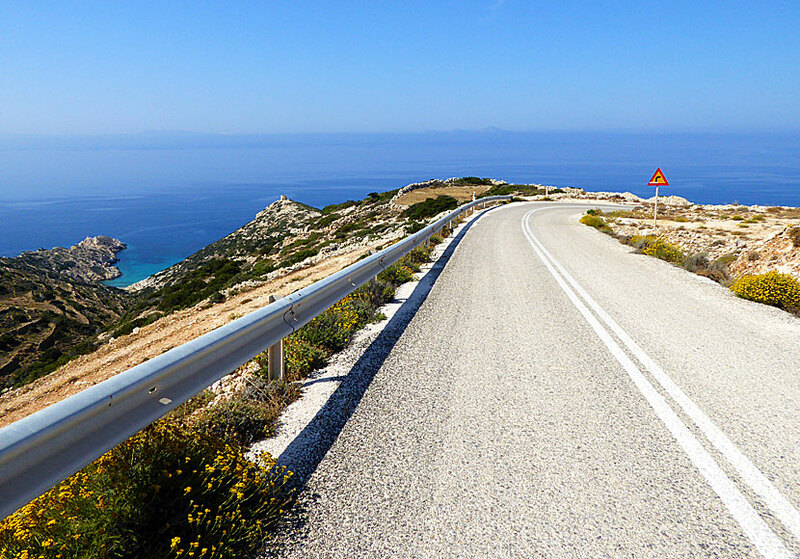 As the road was built with support from the EU, it had to comply with certain standards, for example how wide the road should be. The road has destroyed parts of the wonderful hiking routes and has made great wounds in landscape. I can understand if roads are built with a purpose, such as that they lead somewhere, but this road only leads to two more or less uninhabited villages. I may be selfish in my thinking; those living in Mersini and Kalotaritissa certainly feel different. The bus stop in Stavros is in the port. It is not possible to rent a car, scooter or bicycle. 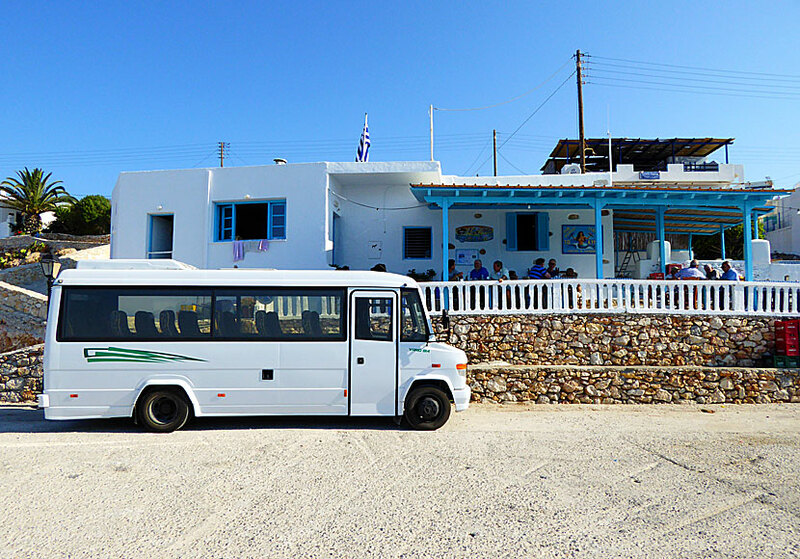 During the summer there is bus service from Stavros to Kalotaritissa, via Mersini, up to five times a day. The beach boat that goes to Kedros and Livadia beach. Of course there is no taxi, but sometimes there are illegal taxis. 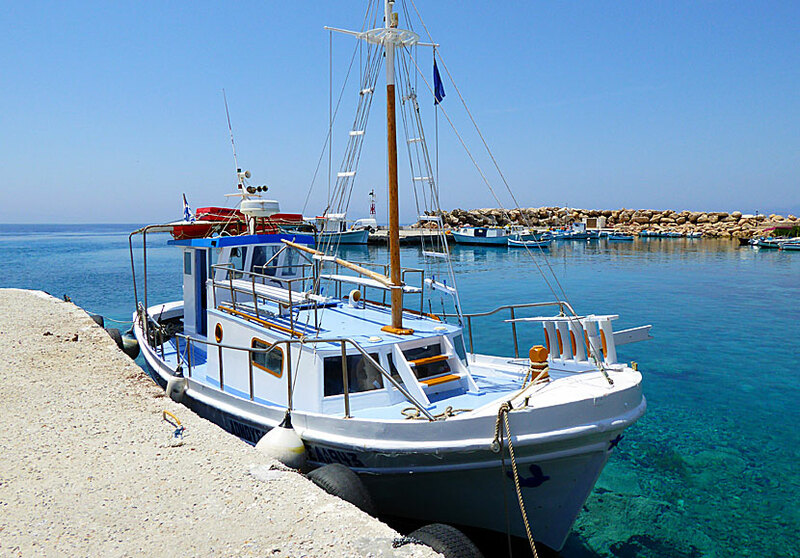 A beach boat runs from the port in Stavros to the beaches of Kedros and Livadia every day in good weather. Donoussa is an good hiking island. So if you like to hike you will like Donoussa.